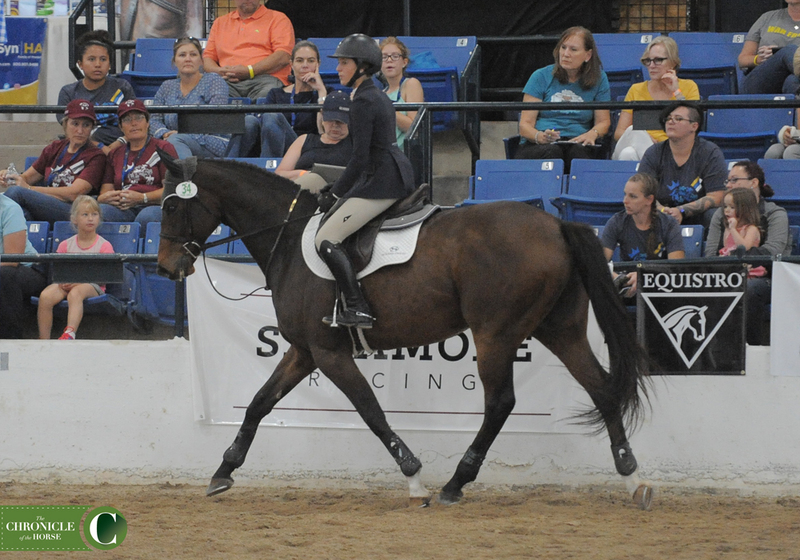 Isabela De Sousa is no stranger to the RRP Thoroughbred Makeover game—the junior rider from Lexington, Ky., has won the show jumping competition at the makeover in 2015 and 2016, and she defended the title with another win in this year’s class aboard Late Night Mark. Isabela De Sousa and Late Night Mark. Photo by Ann Glavan. De Sousa’s previous winners, Dewey Square (2015) and Carajillo (2016), have been sold to competition homes. Late Night Mark and Isabela De Sousa. Photo by Ann Glavan. De Sousa isn’t a trainer (yet, but it’s in her plans!). 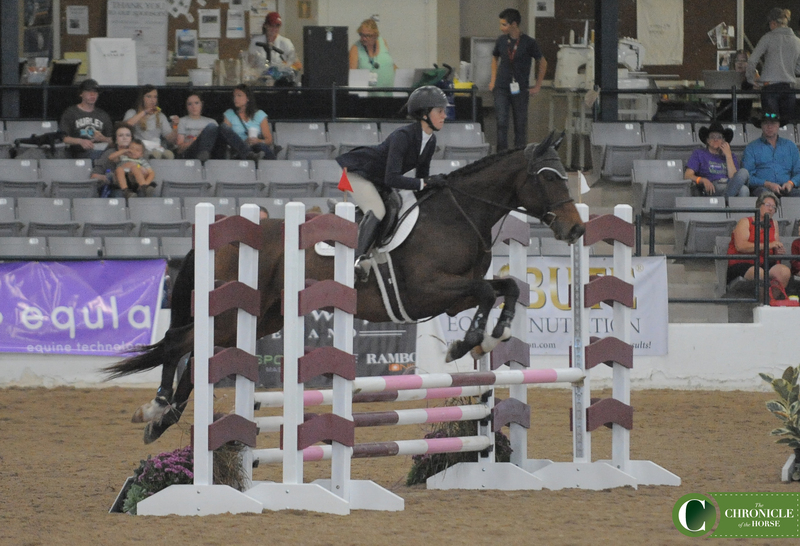 Her family is involved with Thoroughbred sales in Lexington, and De Sousa shows on the hunter/jumper circuit. 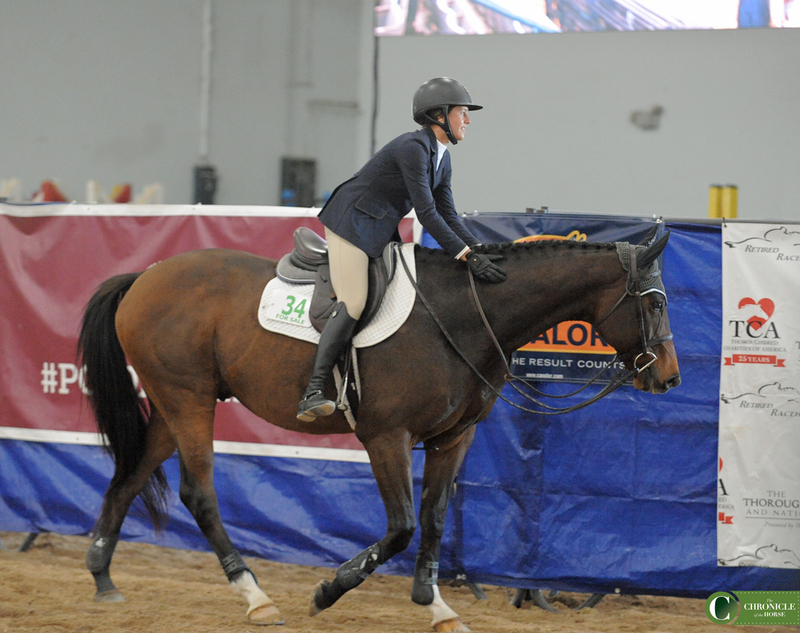 But the junior rider loves restarting horses off the track. Isabela De Sousa giving Late Night Mark a well deserved pat after his win. Photo by Ann Glavan.